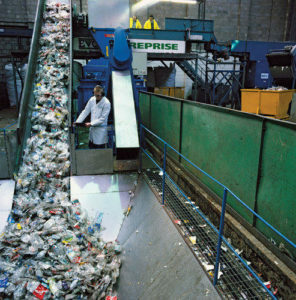 Ghaziabad Municipal Corporation (GMC) has envisaged setting up of four waste recycling plants as part of its plan to avoid dependency on large dumping sites and further improve its ranking in the Swachh Survekshan Survey 2019, a pan India initiative to promote cleanliness. A workshop on handling waste was organised by the GMC on Monday wherein Municipal Commissioner of Ghaziabad CP Singh said that corporation has asked to construct compost plants in housing societies which generate 50 kg of civic waste. He added that the GMC’s efforts are inclined towards the segregation of waste at source “which will reduce our dependence on dumping sites”. Ghaziabad had earned the tag of ‘fastest movers’ city in last year’s survey. GMC has been making persistent efforts to improve its ranking as per the new parameters set by the Union Ministry of Housing and Urban Affairs. To improve its waste management, GMC has set up a construction and destruction waste recovery plant, flowers/leaves composting plants, material recovery centre and plastic processing unit. “To ensure solid waste management, Ghaziabad Development Authority (GDA) has agreed to construct a solid waste management plant in every society with an area of 2,000 sqm,” said Singh.